Mobile users can try EyeBrights products simply by taking a self-portrait with a camera-enabled mobile phone and sending it to eyebrights(at)agm(dot)tw as an MMS/picture message or email. 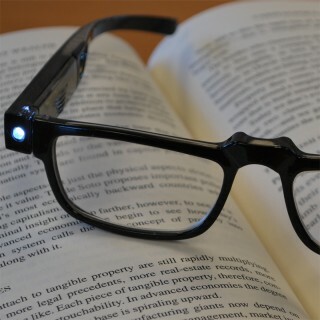 The mobiSHADES mobile service immediately analyzes the user’s facial structure and returns an image displaying an EyeBrights™ eye-wear selection superimposed on the user’s facial image. The mobiSHADES service then provides links to a mobile site where more quality EyeBrights™ eye-wear models can be selected for display on the user’s photo. While the mobiSHADES service is remarkable in its ability to immediately and accurately show users how they look in a particular style or color of EyeBrights™ reading glasses using ordinary feature phones as well as smart phones and it doesn’t stop there. mobiSHADES allows customers to share their images on social media platforms where they can ask friends to vote for the best-looking style. Additionally, mobiSHADES provides a quick-purchase mobile e-commerce platform with unique security features. “We love the fact that anyone can now virtually try on our various styles of eyebrights™ to see what looks best for their face as well as how to turn them on and off”, said David Ropes, Co – Founder of eyebrights™. The mobiSHADES application is a development of Mobius image recognition software, which has been used worldwide in a variety of mobile applications from advertising to food security and anti-counterfeiting technology. The sophisticated mobiSHADES mobile image recognition system determines the capabilities of the mobile device that has sent the image, and returns content that is best suited for that particular device. For example, a “smart phone” user will receive access to high quality, optimized video and still images, whereas a “regular” mobile phone will receive video and images at file sizes and resolutions that are in line with its capabilities. Mobius image recognition service is free to registered members, requires no downloads, and works internationally across all mobile devices and service providers. Mobius also responds in the primary language of the country where a call originates. Users pay only the charges associated with their mobile phone service contract. For more information visit http://www.EyeBrights.net and http://mobishades.mobiusworld.me. 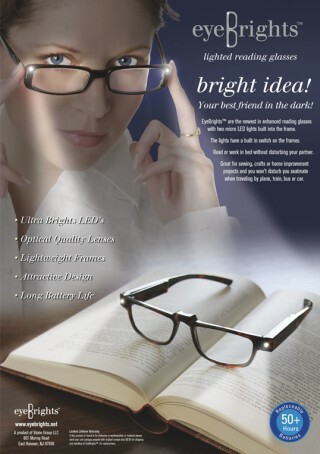 EyeBrights are a product of Vision Group LLC. EyeBrights are licensed from Waters Industries under U.S. Patent #’s 6,612,695; 6,863,416; 7,104,670 and 7,377,664. CompEx, Inc., the parent company of Mobius International the image recognition technology in mobile commerce] which provides comprehensive integrated web solutions to solve the complex connectivity problems facing today's organizations. Based in Columbus, Ohio, CompEx, Inc. is a privately-funded company formed in 1992 as a technology brand of global invention and vision to develop solutions for new business ventures. CompEx specializes in interactive mobile marketing, web and mobile application development, business intelligence, infrastructure/security, and digital data management. Our innovative thinking, knowledge and systematic work methodology enable us to provide our customers with timely and highly effective solutions.